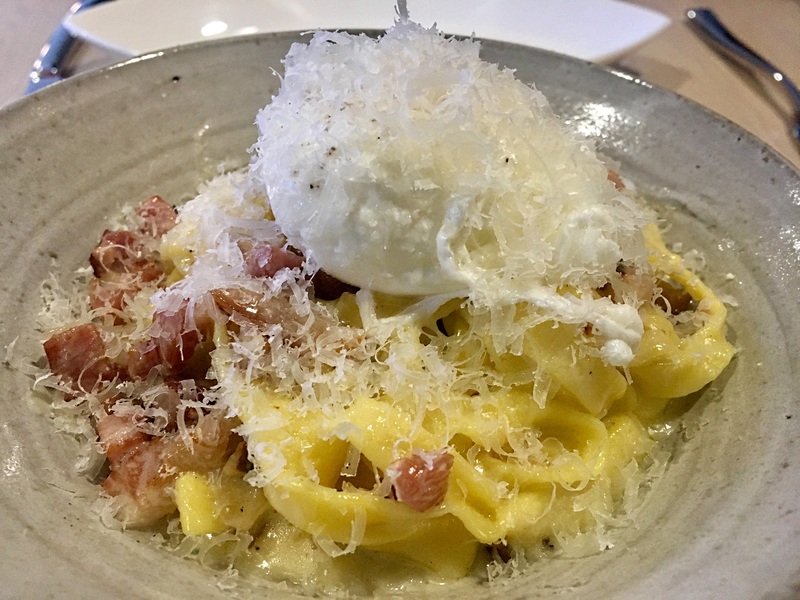 Posted by mrsjoujou in Centrolina, Eating and Drinking by city, Washington D.C.
Centrolina is a restaurant that I have been checking out every time I was looking for a brunch spot on the Open Table. It is a market and a restaurant and is located in the D.C. city center. We liked the dishes we tried but felt it was a little expensive for the portion. Service was friendly and helpful. Ever since I saw this dish on the restaurant’s instagram page, I was hoping to get to taste it. As soon as we sat down, I looked at the menu and saw the dish offered with penne. I asked our waiter if I could have it with the Pappardelle. He said that dish is usually offered at dinner time but he will ask the kitchen. Lucky for me, I got to try this delicious dish. 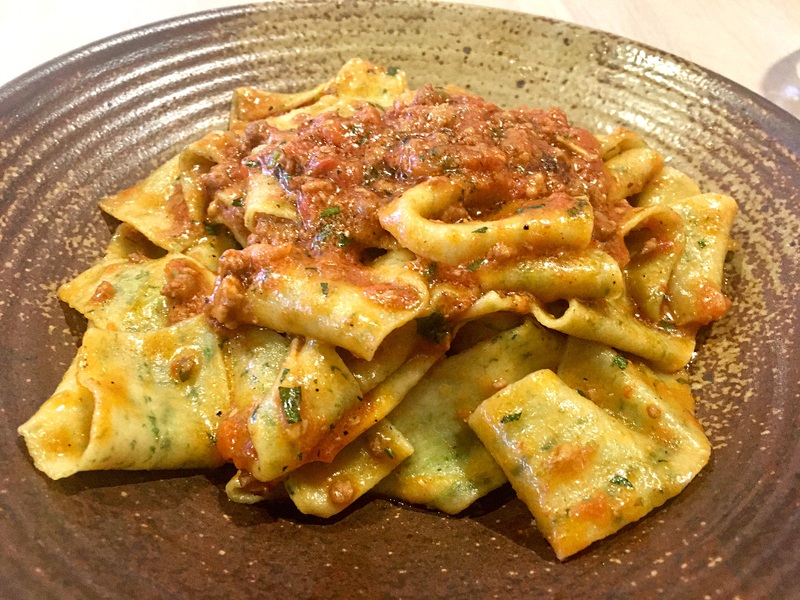 The Pappardelle was cooked perfectly but there was not much of the very flavorful bolognese sauce. All it needed was two more table-spoons of the sauce to make it a more memorable dish. My husband picked this dish and it was really good. The only problem, the poached egg was not runny. It was really creamy with a good amount of the delicious pancetta.